Stroll the streets of Rockford, Illinois and you would hardly know you were in the heart of Rust Belt America. Pedestrians bustle past newly-opened shops, and renovated apartments look onto well-manicured parks. Hip cafes and yachts dot the riverside boardwalk. Rockford’s transformation has taken time. For nearly two centuries, the town’s Puritan roots and industrial vitality defined local culture. No doubt many residents at first resisted the arrival of immigrants. How would their presence alter life after generations of tradition? In recent years, the community’s identity has matured, anchored not by a shared culture but by the liberal values of equality, diversity, and mutual respect. Such tolerance can take root in any community that chooses to welcome newcomers. Despite widespread fears, immigration spurs economic growth, reinforces social stability, and mitigates political divisions – ultimately strengthening tolerance. Many protest that immigrants burden welfare states; in fact, they have little to worry about. The financial cost newcomers impose upon arrival is more than repaid over time. It is true that immigrants rely on taxpayer-funded housing, healthcare, and education to jumpstart their new lives — in the U.S., immigrant-headed households receive $1,800 more in federal welfare benefits than native-born families on average. Refugees and low-skilled immigrants, in particular, need even more relocation services and job training. Skeptics fear that these expenses will sap already-strained welfare systems, denying citizens the help they need. Despite these short-term costs, immigrants actually benefit the economies of their host countries within years of their arrival. A recent OECD study found that globally, immigrants pay more in taxes than they receive in personal benefits. Furthermore, dollars spent on education are recouped when immigrants’ children find high-paying jobs and replace an aging workforce. In 2014, 52% of second-generation EU citizens held skilled white-collar jobs, compared with just 42% of locals. Refugees also work when they can. Access to low-wage jobs in the U.S. has enabled them to contribute to the economy within eight years. Dollars spent on immigrants are not a loss; they’re an investment. Immigrants may benefit the economy, but do they take jobs from locals or reduce their wages? Basic economics predict that more labor will fuel job market competition and depress workers’ earnings. While immigration can drive GDP growth, macroeconomic measures obscure the experiences of individual workers. In reality, the vast majority of studies find that immigration has little short-term impact on locals’ wages. Immigrants bring different preferences and skill-sets, and they often take unwanted jobs. Native workers who do compete with immigrants tend to shift to occupations that require communication and local knowledge. A study of Danish manual laborers found that competition from refugees nudged them into higher-paying, more complex jobs. In the long run, immigrants can even raise locals’ wages by boosting economic productivity. Their unique abilities spur innovation, and lower-wage workers support job stability. When immigration reshapes the labor market, native workers ultimately benefit. Despite newcomers’ economic contributions, some worry that their conflicting priorities could undermine solidarity in already-divided Western societies. Immigrants who form exclusive communities may resist assimilation, leading to cultural clashes. Indeed, U.S. census data show that fewer newcomers learn English when their native language is widely spoken. While immigrants tend to gravitate towards similar ethnic groups, they do often become engaged citizens of their new communities. Across OECD countries, nearly 75% of foreign-born citizens voted in national elections between 2002 and 2012, which is only 5% lower than the voting rate of locals. New immigrants also support social cohesion. Despite deep cultural differences, they often embrace common values, including family, education, and hard work. Their shared mindset eases the process of integration. In U.S. towns where newcomers settle, levels of social capital and civic participation are just as strong, and crime does not increase. In fact, the economic boost from immigrant labor goes hand-in-hand with safer, more equitable societies. Theft, murder, and concentrated poverty have consistently fallen with rising immigration to American cities. Far from dividing their communities, newcomers strengthen social ties. The benefits of immigration, however, could be undermined by a divisive political backlash. Locals threatened by the arrival of foreigners often turn to radical, exclusionary politics that jeopardize the liberal order. For many rural communities, globalization has meant rapid demographic change, as labor has migrated to cities and jobs have moved across the world. Those left behind resent liberal leaders who seem to prioritize newcomers at their expense. Populist movements provide an attractive political alternative, which would “protect” citizens’ interests by closing off societies and curtailing democratic freedoms. Even when these groups do not come into power, they can unleash widespread intolerance. A study of radical right-wing parties in the U.S., U.K., and Australia found that their hostile rhetoric revived ethno-nationalist discourse and inspired xenophobic local policies. The anxieties aroused by immigration, while misplaced, threaten to erode support for liberal values. Fortunately, public opinion suggests a concrete antidote to this populist fervor: stronger immigration policies. Locals aren’t hostile to all newcomers; it’s illegal, unregulated immigration that concerns them most. In fact, support for legal immigration has soared over the past decade. In a 2018 Gallup poll, 67% of respondents approved sustained or increased immigration, up from 46% in 2009. By controlling national borders, lawmakers may contain populist sentiment. This is exactly what happened after the 2015 German refugee crisis, when an influx of nearly 900,000 asylum-seekers rallied support for populist party Alternative für Deutschland. Despite the party’s meteoric rise, vote intention plateaued near 15% after German and Turkish leaders agreed to stem the refugee flow. Over time, immigrants can even stabilize the political climate of their adopted communities. Studies show that newcomers tend to gravitate towards the political views of their neighbors, who often grow less hostile to immigration within a decade. Swedish scholars actually found that radical right-wing support is highest in areas next to, not within, immigration hotspots. Sound immigration policy can temper and ultimately diffuse populist sentiment. As immigration transforms the landscapes of Western democracies, citizens may grasp for familiarity and control. Their discomfort, however, is often the harbinger of a more tolerant society. Living alongside foreigners, many locals come to see them as an enriching asset, not a threat. Towns like Rockford can shed their insular past to embrace the growth, innovation, and vitality that come with diversity. Still, cultural change takes time. Citizens who resent newcomers may stoke xenophobic attitudes and fuel damaging, illiberal movements. Their influence can be countered by prudent immigration policies. Meanwhile, the realities of coexistence may ease tribalism and prejudice. By negotiating their differences, locals and newcomers can cultivate the mutual respect, understanding, and acceptance that make tolerance thrive. “QuickFacts Rockford City, Illinois,” U.S. Census Bureau, accessed July 13, 2018, https://www.census.gov/quickfacts/fact/table/rockfordcityillinois/PST045217. Marwa Eltagouri, “For Many Midwestern Cities with Shrinking Populations, Immigration Is a Lifeline,” Chicago Tribune, September 18, 2017, http://www.chicagotribune.com/news/immigration/ct-midwest-immigrant-populations-met-20170918-story.html. Jason Richwine, “The Cost of Welfare Use By Immigrant and Native Households,” Center for Immigration Studies, May 9, 2016, https://cis.org/Report/Cost-Welfare-Use-Immigrant-and-Native-Households. “Migration Policy Debates: Is Migration Good for the Economy?”, Organisation for Economic Co-operation and Development, May 2014, http://www.oecd.org/migration/mig/OECD%20Migration%20Policy%20Debates%20Numero%202.pdf. “First and Second-Generation Immigrants – Statistics on Employment Conditions,” Statistics Explained, Eurostat, September 2016, http://ec.europa.eu/eurostat/statistics-explained/index.php/First_and_second-generation_immigrants_-_statistics_on_employment_conditions. William N. Evans and Daniel Fitzgerald, “The Economic and Social Outcomes of Refugees in the United States: Evidence from the ACS,” National Bureau of Economic Research, Working Paper 23498 (June 2017), http://www.nber.org/papers/w23498.pdf. Lena Groger, “The Immigration Effect,” ProPublica, July 19, 2017, https://projects.propublica.org/graphics/gdp. Giovanni Peri, “Do Immigrant Workers Depress the Wages of Native Workers?”, IZA World of Labor 42 (May 2014): 4, https://doi.org/10.15185/izawol.42. Mette Foged and Giovanni Peri, “Immigrants’ Effect on Native Workers: New Analysis on Longitudinal Data,” American Economic Journal: Applied Economics 8, no. 2 (April 2016): 29, https://doi.org/10.1257/app.20150114. Peri, “Do Immigrant Workers,” 8. Edward P. Lazear, “Culture and Language,” Journal of Political Economy 107, no. S6 (December 1999): 42, https://doi.org/10.1086/250105. OECD and European Union, “Indicators of Immigrant Integration 2015: Settling In” (Paris: OECD Publishing, 2015), 203, http://dx.doi.org/10.1787/9789264234024-en. Jaime Ballard, Elizabeth Wieling, and Catherine Solheim, eds., “Immigrant and Refugee Families” (Minneapolis: University of Minnesota Libraries Publishing, 2016), chap. 8.1, https://doi.org/10.24926/8668.0901. Sandra Sequeira, Nathan Nunn, and Nancy Qian, “Migrants and the Making of America: The Short- and Long-Run Effects of Immigration during the Age of Mass Migration,” National Bureau of Economic Research, Working Paper 23289 (March 2017), http://www.nber.org/papers/w23289. Charis Kubrin, Graham C. Ousey, Lesley Reid, and Robert Adelman, “Immigrants Do Not Increase Crime, Research Shows,” Scientific American, February 7, 2017, https://www.scientificamerican.com/article/immigrants-do-not-increase-crime-research-shows/. John M. MacDonald and Robert J. Sampson, “Don’t Shut the Golden Door,” New York Times, June 19, 2012, https://www.nytimes.com/2012/06/20/opinion/the-beneficial-impact-of-immigrants.html. Jackie Hogan and Kristin Haltinner, “Floods, Invaders, and Parasites: Immigration Threat Narratives and Right-Wing Populism in the USA, UK and Australia,” Journal of Intercultural Studies 36, no. 5 (October 2015): 535, https://doi.org/10.1080/07256868.2015.1072907. “Immigration,” Gallup, June 13, 2018, https://news.gallup.com/poll/1660/immigration.aspx. Rick Noack, “Germany said it took in more than 1 million refugees last year. But it didn’t,” Washington Post, September 30, 2016, https://www.washingtonpost.com/news/worldviews/wp/2016/09/30/germany-said-it-took-in-more-than-1-million-refugees-last-year-but-it-didnt/. “Vote Intention (Nationwide),” Infratest Dimap, July 5, 2018, https://www.infratest-dimap.de/en/analyses-results/nationwide/vote-intention/. Sam Wilson and Alex Nowrasteh, “The Political Assimilation of Immigrants and Their Descendants,” Economic Development Bulletin no. 23, Cato Institute, February 24, 2015, https://www.cato.org/publications/economic-development-bulletin/political-assimilation-immigrants-their-descendants. Eric Kaufmann, “‘It’s the Demography, Stupid’: Ethnic Change and Opposition to Immigration,” The Political Quarterly 85, no. 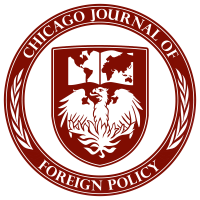 3 (October 2014): 267, https://doi.org/10.1111/1467-923X.12090.